Guntersville Lake in north Alabama is Alabama’s largest, man made Impoundment. It is a huge lake by most standards at 69,200 surface acres of water and over 82 miles of navigable water. The town of Guntersville, Al. borders the lake on its lower end, showing the lake stretching from Guntersville Lake dam (lower lake / just above Wheeler Lake), to the lakes headwaters situated below Hales Bar Dam upstream, all featured on the twisting and turning waters of the mighty, Tennessee River System. The lake is now nearing 70 years since its impoundment. Its getting to be a very old lake and like most older lakes Guntersville lake has seen both the ups and downs all impoundments go through with each passing year. Some good some bad. Pollution, the poisonous spraying of aquatic weeds, the introduction of aquatic weed-eating grass carp fish species, increasing recreational use, barge traffic and fishing pressure are just some of the downsides. The good sides? 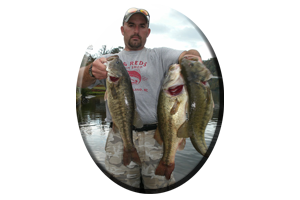 Ask any angler and most will exclaim, ” The grass is what makes Guntersville Lake the best bass lake in Alabama”. Lures fished from top to bottom in, around and within this grass fool some big largemouth bass in all seasons on Guntersville Lake. 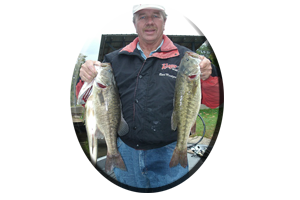 Although there are some smallmouth bass and spotted bass, the largemouth’s are the dominate bass species and they rule on Guntersville Lake. Especially during the fall. Fishing in and around all the many types of weeds found on this lake, involves many lure choices. Lures that simulate or look like these prey these aquatic weed dwelling bass are accustomed to feeding on, will generate strikes all throughout this fall season. Often on into the colder days of the early winter season, for winter warming trends can trigger these bass to feed and after all, they have got to eat. When Guntersville lake was impounded in 1939 it lacked any huge amount of aquatic weeds such as milfoil, moss, hydrilla and Lilly pads. Today, the huge amount of these types of weeds and other aquatic weeds is what makes Guntersville lake such an excellent fishery, especially for big, largemouth bass. The thick and often matted weeds such as milfoil and hydrilla offer security for the dozens of prey these largemouth bass dine on with regularity. This means anglers should be fishing with one or several of the many types of lures on today’s market. Plainly put, those lures that look like the meals these bass eat. The entire lake is loaded with many species of small minnows, threadfin shad, gizzard shad, yellowtail shad, skip jack herring, bream, sunfish, crappie, shell crackers and even crayfish, all that make their homes in and around these aquatic weeds most of the spring, summer, fall and early winter seasons. Largemouth bass have plenty to eat on this lake and they grow big dining on these prey and other meals. Besides baitfish and crayfish these largemouth bass will consume small mice, worms, lizards, snakes, small water fowl, insects and frogs, if given the chance. They are now feeding and fattening up for the upcoming winter season, often evident in the shallows all day. Many bass exceeding ten pounds have been reported being caught in the recent years (some weighing in the teens), and the fall season and early winter period is when many of these really trophy sized bass are fooled, especially when fishing the shallow, weedy waters of Guntersville Lake, in the right place with the right kind of lure. 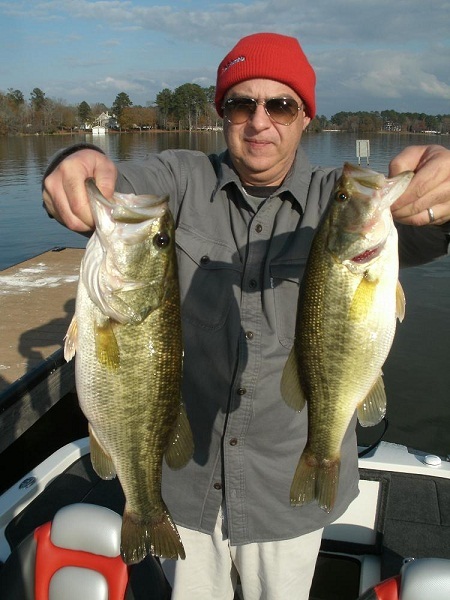 There are certain techniques many knowledgeable anglers employ when faced with trying to decipher the often intimidating weeds featured throughout Guntersville Lakes waters. Some first timers can really struggle with so many choices of weedy waters to fish…found lake wide. Narrowing your search. That’s the goal of any angler whether your just fishing, competing in a major bass tournament or just trophy, bass fishing. Finding bass in a small area and concentrating all of your years of fishing experience (and fishing expertise), all into hopefully, one fantastic day of fishing. All when relying on your confidence, your lure choice and your ability to adapt to certain conditions and situations. On Guntersville Lake, as waters begin to cool there will be many changes an angler has to face this fall in order to adapt and still catch fish. 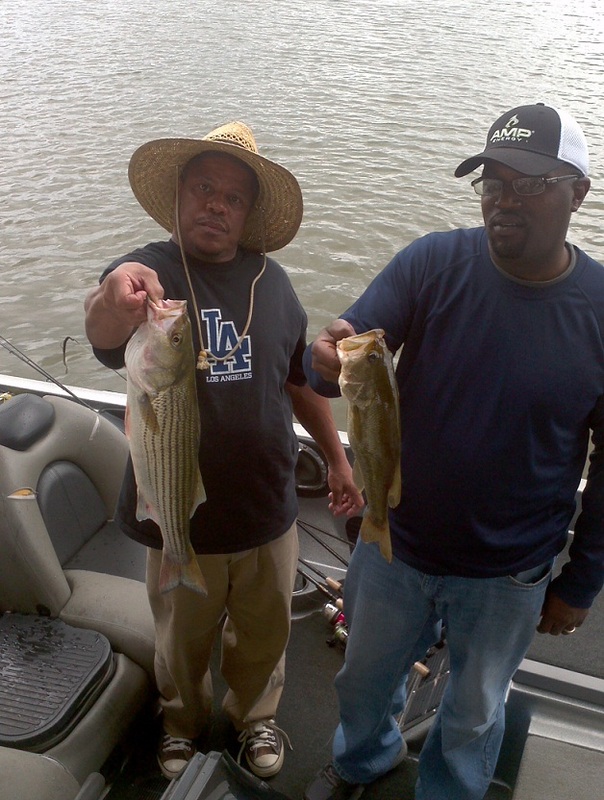 Unknown to many people, those that don’t fish (yes, there are some), there are some actually some very good reasons why these “professional bass anglers” practice for an upcoming bass tournament. Practice often means traveling throughout the lake, not in just one day, but usually in several days of fishing or just riding and looking over the entire lake, eventually narrowing your search. Practice does often mean burning a lot of gas and oil in the boat eliminating useless water and to help you in concentrating your efforts in the future on places you find quality bites and big bass during previous trips. This can get expensive with the price of gas and oil, for both your eight cylindered tow vehicle and that big, horse powered motor on your big bass boat. Launching at various boat launches found throughout the lake can help cut down on fishing costs like gas, instead of running all over the lake. 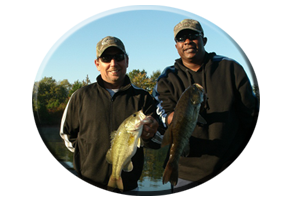 Or sharing the expenses with another angler can cut your costs in half, both during practice and during competition. During the fall on Guntersville Lake your “practice period” means spotting feeding birds and looking for lots of evident baitfish and fish feeding activity. This can take place in those certain little spots many anglers overlook. Wind blown banks are often overlooked and at times even avoided by anglers seeking calmer waters. This can be a bank that was calm at dawn, but by mid day it has been pounded for hours with by cold, 20-30 m.p.h. northerly winds, as fall’s ever increasing cold fronts come in with each passing week. Or a bank with southerly winds blowing directly into it can feature pockets of warm, southerly waters of a few degrees more – than cooler waters only a few hundred yards away – often inducing bass to feed. Another couple of often overlooked situations that always take place during the fall and winter period throughout massive, Guntersville Lake is water clarity (from clear to muddy) and falling water temperature. Although this past summer season showed drought, no rain for weeks, hot, bright and scorching bluebird skies and soaring air temperatures of 105 degrees for weeks, there were still active bass in the shallows. Water clarity soon just became…clear, in late August. Fall rains can change all that. Guntersville’s waters can get stained with another factor besides incoming rain water, one that can stain the waters situated along miles and miles of flatlands found on Guntersville Lake. Even with no rain there is always some water that displays a slightly stained look, giving bass a feeling of security and aiding them in feeding more in the shallows. There are countless miles of creek backwaters and main lake flats that are affected by the flow of current in this lake. When water is drawn at the lower lakes dam (or current drawn through both Guntersville Lake dam and Hales Bar dam), it creates current in the lake and its incoming feeder creeks. This current stirs up the lakes bottom. This mixes the upper and lower water column and creates a stained look when the lakes muddy bottom and weedy waters are combined. Noisy topwater lures like buzzbaits, or lures that emit flash and vibration like spinnerbaits and lures with built in internal rattles such as crankbaits, jerkbaits, lipless lures and lures fished on or near bottom like worms, lizards, tube baits and jig combos, can all attract strikes from these bass in stained water situations. These bass cannot see as well in stained waters so they use their lateral line and inner ear when cruising or feeding during these stained water conditions. 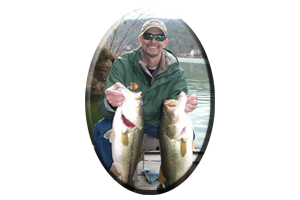 Fish Guntersville Lake this fall season and learn a few techniques and fishing factors of your own, that will aid you in fooling that “bass of lifetime” into hitting your lure. Or call on Reeds Guide Service…first! “Guntersville Lake’s most well known, oldest, professional Guide Service, guiding on Guntersville Lake for over 30 years.” Remember, a guided fishing trip with Reeds Guide Service makes a great gift for Birthday’s, Father’s Day, Christmas (certificates available) or any occasion, for those loved ones that love to fish. 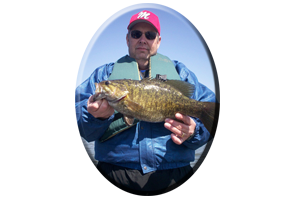 Several professional guides and quality bass boats available year round, for multiple parties and corporate guided trips. See my website www.fishingalabama.com for more info.